Above photo album can also be viewed at my Imgur Gallery. Hello, Maker Week NYC 2012! The 3rd Annual Maker Faire just blew through town. It also happened to mark the 1st Annual “Maker Week” here in NYC! As declared by Mayor Bloomberg, September 24-30 is officially Maker Week and is an entire week dedicated to DIY science and crafts! Yay yay yay! 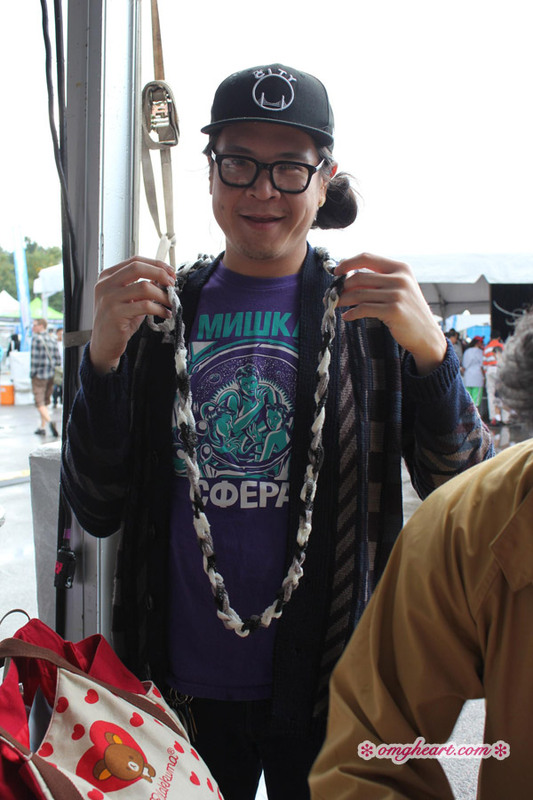 Thanks to Kollabora.com, I got the chance to go to Maker Faire this year to check what new fangled gadgets and crafts were on the menu. 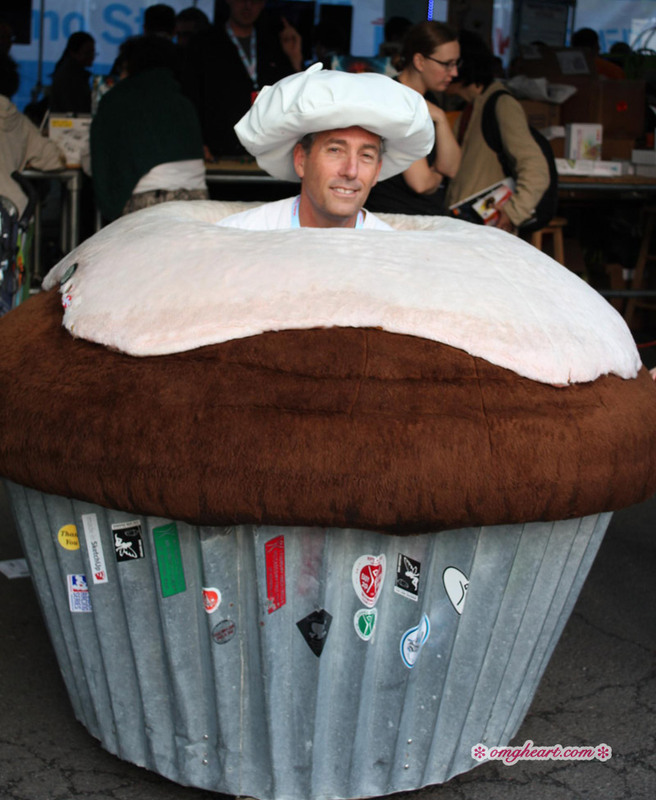 We saw a cool Cupcake Man Car which was a guy driving around in a cupcake shaped car he built. Saw some butterfly bikes, the Katy Perry Unicorn complete with flaming unicorn horn, ate some gyros and shish kebab on a stick, and checked out some craft booths and stalls. It poured buckets of tornado rain when we got there but we holed up at the Kollabora booth to wait it out. We ended up meeting some of the lovely Kollabora Team and Finger Crocheting some necklaces! Last year at The Faire there were so many knitting, sewing, and textile booths and demos like Free Motion Quilting, Fabric Dying, Singer Co. etc. More of the fun attractions/events/booths like Craftzine machine knitting cosby sweaters, the solar sewing guy who powered his sewing machine with his bicycle, steampunky bike contraptions, super mario radio-controlled car races, and oddball independent artists were not there this year either. This year they had less than half the textiles and crafts featured as last year. It was mainly overrun with arduino and 3D printing booths. Also, much larger name companies like ASUS were there with a Speed Build Competition and 3D graphics video games complete with special glasses. Crif Dogs was there! And… it was about 3 times more crowded! It was jam packed and food lines were atrocious. Blecch the Rat! It felt a lot less organized in general. Perhaps it was because I went at the tail end (2pm ish) of the last day (Sunday) and missed an entirely different schedule on Saturday? On top of Maker Faire not expecting such a huge turnout? Oh well. 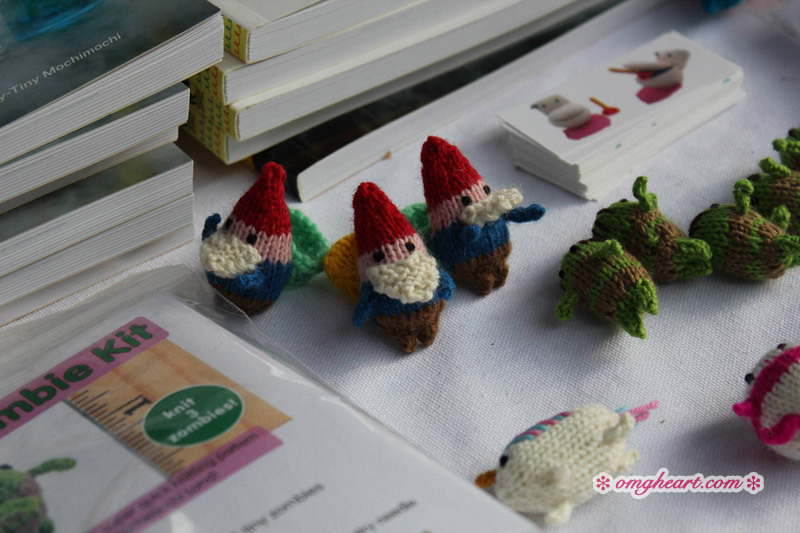 Top Right: Micro Amigurumi Garden Gnomes by Mochimochi Land. Each are sold in kits with everything you need to create your own. 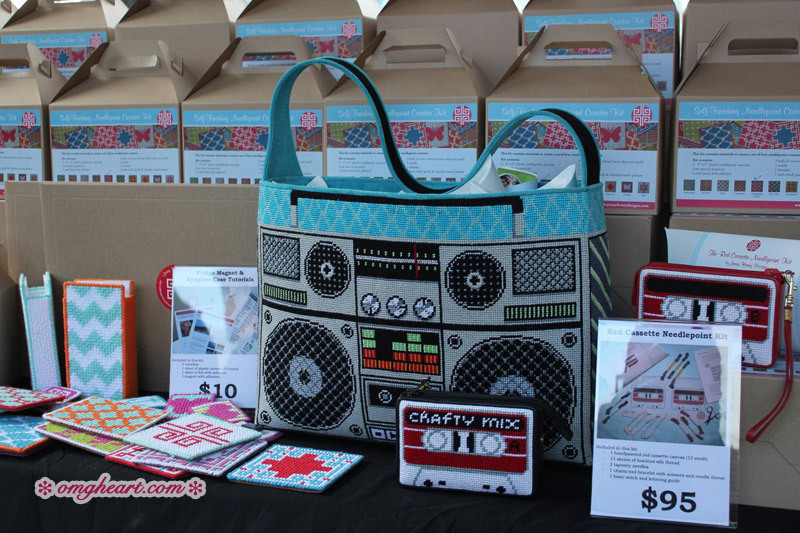 Right: Boombox Bag and Cassette Tape Pouch in Needlepoint by Jenny Henry. Each are sold in handy Needlepoint Kits. 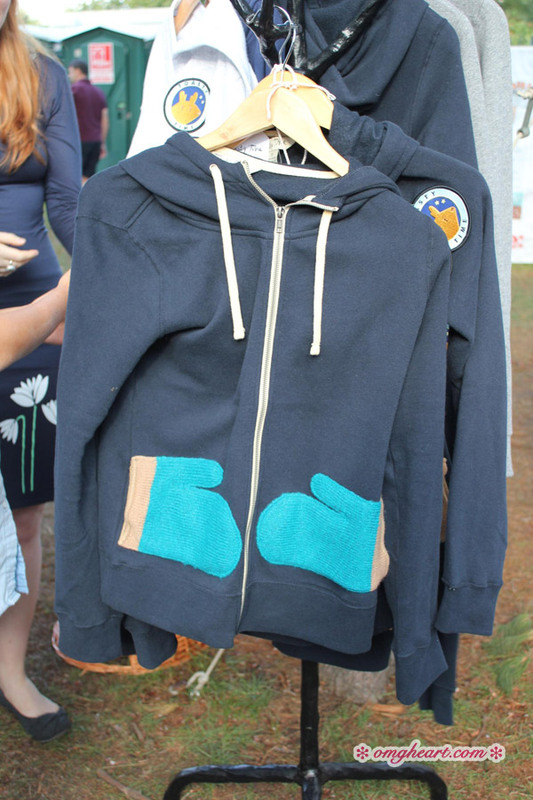 Bottom Right: Toasty Time Hoodies w. Mitten Pockets. Yup, they’re knitted! Ambushbog.com, Ultra Lite Spindles – Yarn spun with cat hair! Eep! Kollabora is a new online crafting community that’s just joined the “block” party! =^..^= It’s a cross between PS I Made This, I Spy DIY, and Craftsy. It has a fresher focus IMHO featuring projects that pair classic crafts like Knitting or Sewing with edgier materials and fabrics and modern takes on those same classics with projects like Big Stitch Knitting! 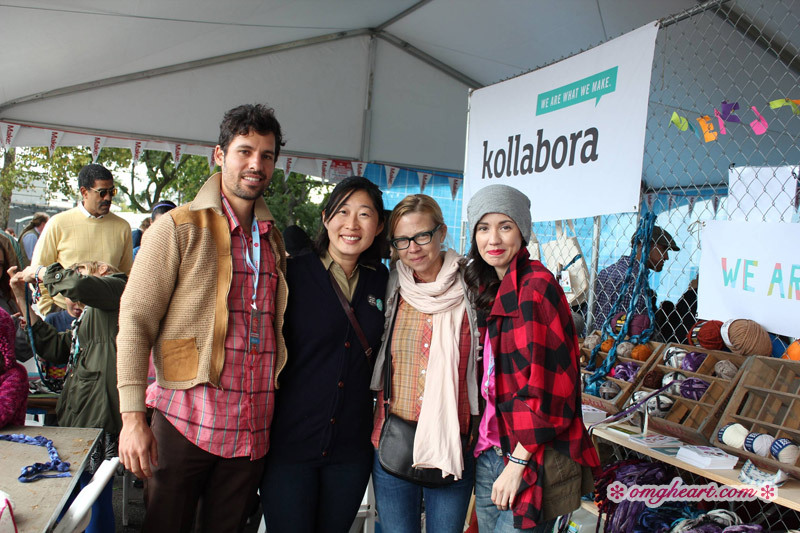 Where Craftsy has a more Martha Stewart feel, Kollabora might appeal more to urban hipster or fashion industry creatives. Find out all about them in my post. Above: Lindsey, on the far right, is wearing the Bushwick Cape, a featured project on their site. It’s a classic Simplicity Sewing Pattern you can sew yourself! It’s simply matched up with a more contemporary fabric (red/black flannel check) to give it a fresher look. If you got to check out their booth, it was filled with yarn and Berninas, and mobbed by tween girls!